This bib can be invaluable for show ponies and horses when presentation is everything. The lightweight satin fabric allows the rug to glide over vulnerable areas, such as the shoulders, chest and withers minimising the risk of hair loss, chafing or sores. 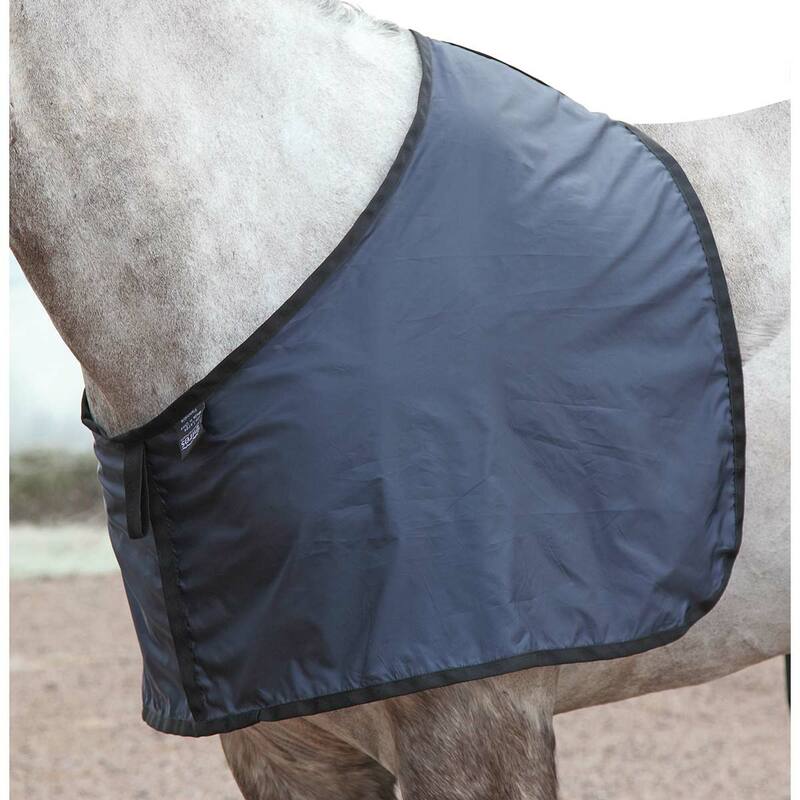 A loop on the bib allows the rug chest straps to fasten through to keep it securely in place. Great for sensitive horses that are prone to rug rubs or sores, can be used under stable rugs and turnout rugs.